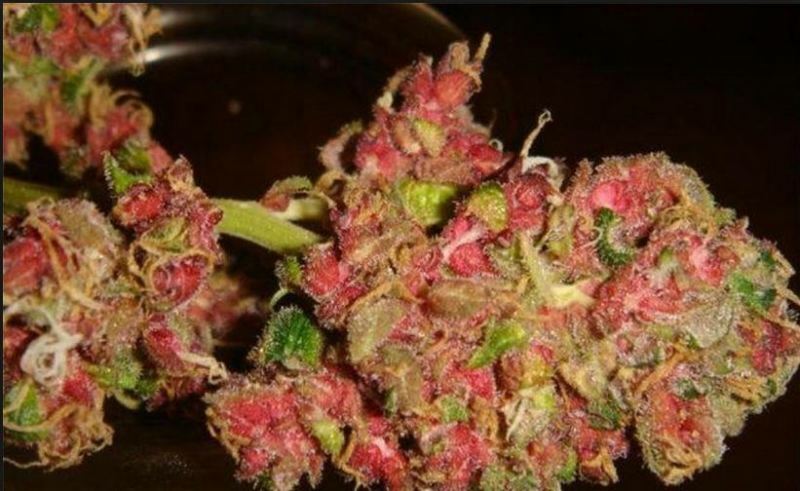 Have you ever seen pink cannabis? Yes, it’s real! Two primary reasons why cannabis turns pink: genetics and environment. Here’s how. When you picture cannabis, an image of some lumpy green buds may come to mind. While green is the herb’s signature color, cannabis comes in a variety of shades and hues. Ranging from a deep black to red to even albino, the coloration of cannabis is a beauty to behold. But, where do these colors come from? Can the herb really produce bright coloration? Is pink cannabis even a thing? Here are the details. Is pink cannabis a thing? 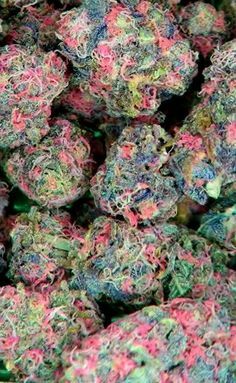 However, cannabis strains express pink coloration in a few different ways. In some strains, like Pink Berry, the calyxes themselves are pink in color. In other strains, only the pistils turn bright pink. In more strains still, fan leaves and sugar leaves can develop pink and purple tones. 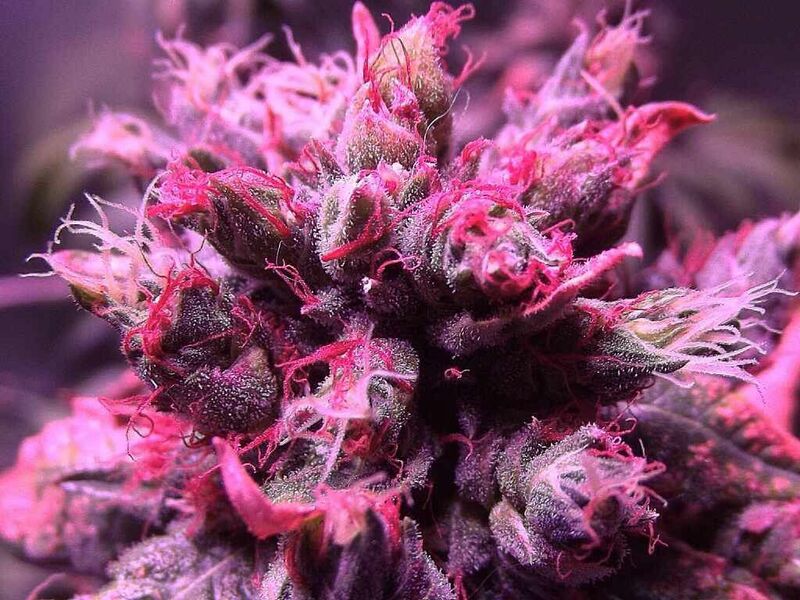 Why does cannabis turn pink? There are two primary reasons why cannabis turns pink: genetics and environment. At a certain level, a plant’s genetics will determine whether or not it has the ability to develop darker coloration at all. However, it is in large part due to the interaction between the plant’s genetics and the environment that determines when and if that coloration expresses. The reds, pinks, purples, and blues found in cannabis are produced by anthocyanins, which are pigment molecules that plants produce. There are a few theories as to why some plants produce these pigments. Some evidence suggests that the purple coloration may be a kind of antifreeze, protecting plants from cooler climates. There is also evidence that hints that the dark coloration is a way plants protect themselves from intense UV exposure as they age. If you’re hoping to get some serious color, it is important to start out with a colorful strain. Search for strains that are known to produce pink buds, not just feature pink coloration in the leaves. Sometimes, a “pink” strain will grow to be a striking, colorful plant only to transform into plain green buds after trimming. If possible, look at images of your strain before buying. Breeders that offer pink seeds may also have growing recommendations that can help you coax out some color. Since cool weather seems to boost anthocyanin production in some plants, it is recommended to keep your grow room a little on the cool side, with even cooler temperatures at night. For many purple strains, the nighttime temperature should drop below 70°F (21°C). However, it’s important to be mindful that temperatures do not drop below 65°F (18°C). While cannabis can tolerate a little cold, a slightly chilly room temperature is all that is really necessary. Since there is some evidence that lots of bright sunlight may be partly to blame for the changing color of leaves, investing in high-quality lights may be a good idea. Having access to ample light throughout the grow cycle will not only encourage vigorous growth but may give your plant the intensity it needs to further coax out the colors. However, it’s important to avoid stressing the plants by exposing them to too much light. Plants should be kept several inches away from the light source to avoid burn and heat stress. Searching for more information on plant coloration? Check out the full article here.